Size Height 282 mm, width 197 mm. Watermark Encircled star with crown. Drake's identification: Watermark type 3. Drake's description: Mountains below cartwheel 30mm; overall height 53mm. 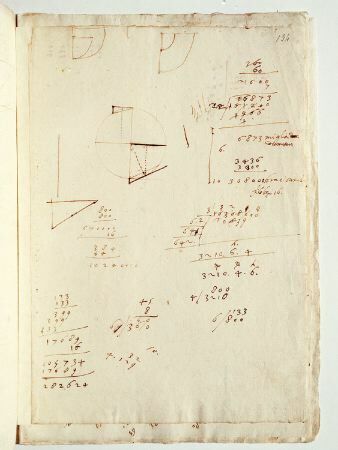 Comments Contains drawings, calculations, minimal texts, tides. Relation to the Discorsi: related to pf.